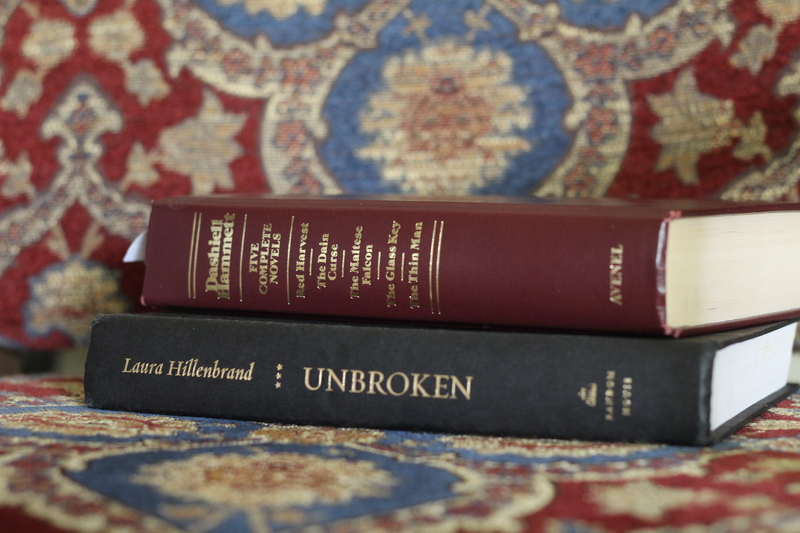 I am far and away a fiction reader, but this month the books I finished included a few genres I don’t explore as often: detective noir, biography, and spiritual memoir. It made for interesting shifts when I put down one book and picked up another. “That’s nice,” the gray-mustached sleuth on my left said. He didn’t sound sincere. 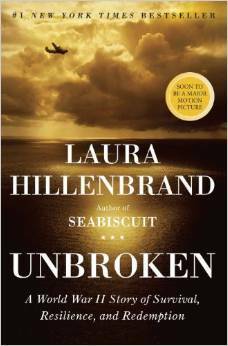 Unbroken by Laura Hillenbrand: James took a bit of a risk, buying me nonfiction for Christmas, but I found this gripping and beautifully written. I was flabbergasted at the rickety death-traps in which many American airmen risked their lives in World War II, and stunned by the inhumane treatment endured by Allied POWs captured in the Pacific. This is a story of surviving many things, and somehow scrounging up the strength to go on in the darkest possible places. 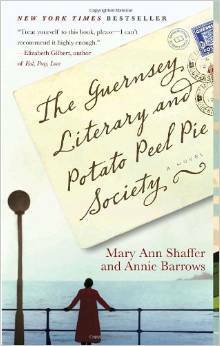 The Guernsey Literary and Potato Peel Pie Society by Mary Ann Shaffer and Annie Barrows: I devoured this in a weekend, and I don’t remember the last time that happened. There’s a good reason this has been recommended to me for years. It’s touching, illuminating (I knew nothing about the Nazi occupation of the Channel Islands), and delightful. I finished it and promptly handed it to my mom, who loved it so much she read it twice. 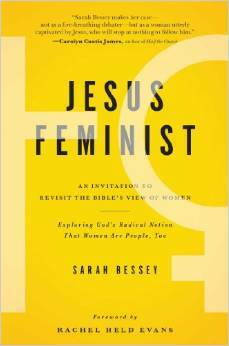 Jesus Feminist by Sarah Bessey: This warmly written little book, which generated a lot of buzz in the blog world, was not quite what I expected. I am not spoiling for a fight on the potentially controversial issues it addresses, so I won’t take a stand on those. But quite apart from agreeing or disagreeing with her, I was surprised that the book was not more of a systematic argument in support of her position. It seemed to cheer on those who already agree with her or are ready to be convinced, rather than answering the objections of skeptics. This is not necessarily a failing; I had probably just misunderstood the purpose of the book. On the plus side, I greatly appreciated her desire to move past theological infighting to do some actual good in the world, and I thought her criticisms of women’s church ministry programs (what if you don’t like crafts or pink floral décor?) were spot-on. 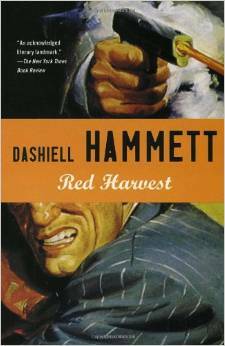 Read anything great this month? I’m linking up with Modern Mrs Darcy for Twitterature (short reviews of recently read books). I’m reading Tullian Tchvidjian’s One Way Love. It’s a tremendous reminder of God’s amazing and abundant grace. If you like fiction, you might consider William Kent Krueger’s Ordinary Grace. It is a mystery, but explores the issues of faith, belief, grief, violent loss and forgiveness. It surprised me in a good way. Have you read Jonathan Safran Foer “Extremely loud and incredibly close”? It is about a little boy who loses his father in 9/11 and his way of dealing with the grief. I was was deeply touched by this book and it instantly became one my favorite books ever! (And this doesn’t happen very often…). If you haven’t read it yet you absolutely have to! I also loved Nemesis by Philip Roth – a gripping story with characters you won’t easily forget. Anyway, both books are from last year already – I am in awe at how much you manage to read with you kids and a baby!!! I can’t say enough about the Guernsey Literary and PPP Society! Such a lovely romance, touching historical background — a great book! Thanks for sharing your picks.